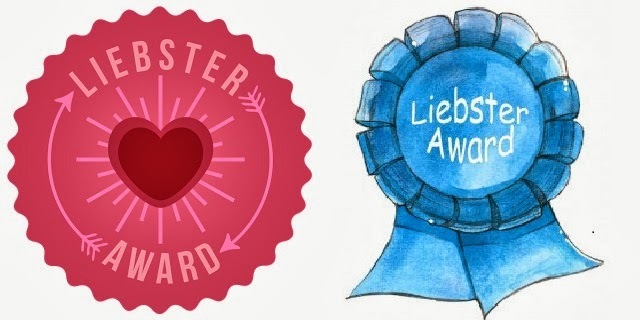 I have been nominated for a Liebster Award by a lovely lady blogger from candysaysx.wordpress.com. Thank you very much again 🙂 So there is actually someone out there that reads me and notices my little blog! I’m always up for fun things especially the ones that include other bloggers! Hence I thought I should really try my best to make this post great! Think of 11 questions that you would like them to answer. The purpose of this award is to get to know other bloggers out there and it’s a great way for the small bloggers to break through! Ok, I’m not going to postpone it any longer. Here are my answers. If you could go into one shop and have anything and everything you wanted for free, which shop would you choose? That is just soo easy to answer! That would be Zara. This is a shop that to me represents a modern woman. A woman that knows her style, knows what she wants and she is not afraid to get it.This is sophistication on a high level engaging with cheekiness, sexiness…Also, I see it as something for the high street price. I know sometimes it’s a tad overpriced, but the elegance of the garments is worth it, no doubt. I’m very picky regarding my mascara. I have tried quite a lot of them during my life, but there are not many of them that actually impress me. Even though I have extremely long eyelashes, thier the fair type, so you can’t really see them. Hence I need something that gives them volume, but as I said, I’m picky, I want volume and length! Can you hear that all you cosmetic companies! We are girls and we want DESERVE everything! 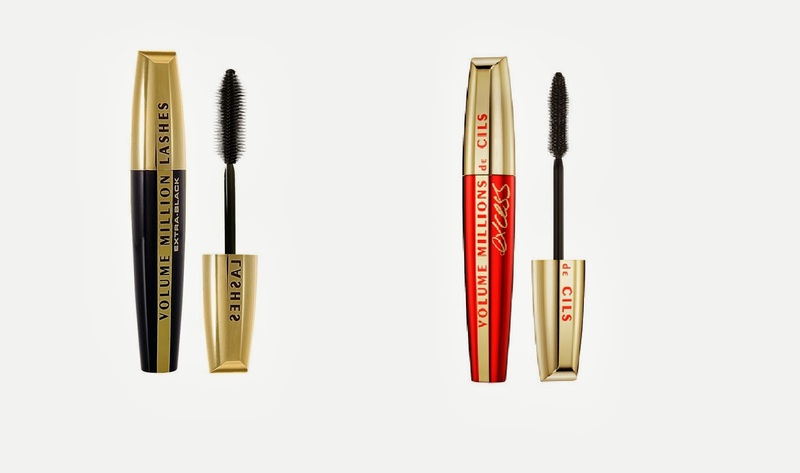 This is why my all time favourite mascara is by L’Oreal, Volume Million Lashes Excess! Thank you very much L’Oreal for making one blogger very very happy! Which fashion house would you most like to work for? The one that gives me at least 50% off anything I want to buy at any time I want! I’m very sorry to disappoint every single one of you who wanted to hear some kind of a designer or a celebrity. My BIGGEST fashion influence is MY MUM! Thanks to her my style is very sophisticated and elegant. I love everything from shops like Warehouse, Oasis and Zara. My mum also always looked after herself and her diet, therefore she looks a lot younger than she is 🙂 I try to eat more healthy nowadays and I don’t underestimate my everyday face/skin care. What would you typically wear on a first date? Oh geez, guys…I have a boyfriend of 5 years (whom I love very much) and before I was with my ex-boyfriend for over 6 years…So there is no “What would you typically wear”…haha It would be more like what would you put on once in hundred years! Nevertheless, I’ve created a collage on my polyvore account just for you, so you can have a look at what I would wear IF I would be in a need of a date 😉 It’s obviously something elegant, chic, stylish and smart. I think if I go on a date and a guy turns up in a hoodie and a “silly” woollen hat (that I just can’t stand unless it’s winter) I would probably turn around and pretend I’m someone else. It’s true, it’s me and I’m not ashamed of it. Eyes or lips; or are you one of those brave people who emphasises both? Easy peasy! There is one rule I follow no matter what. If I decide to have a heavy make up on my eyes, I would definitely go easy on my lips and vise versa. If I don’t go crazy with my eye shadow and eyeliner I can allow myself to put on more distinctive lipstick. But I prefer less is more on both. Especially day wear wise. Do you have something hanging in your wardrobe which you’ve never worn? Yes…I guess it’s the same for any of us…but I’m a clothes hoarder/hopefully cured shopaholic, so I have tons of clothes! Check out my Clothes shopping tips on a budget! I always feel really bad throwing away anything. But back to the question, I think that out of everything I’ve bought, but never got around to wearing, it has to be my dresses. I love dresses, but unfortunately the British weather doesn’t allow me to wear them often!!! I’m going to cry myself to sleep tonight I think. I love you summer, come back! Girlies, no I don’t. I have my dreams though! Well, to explain myself. I’ve just had a double bunion osteotomy (they cut some pieces out of the bone and put the remaining bone together with screws)! I even have to wear slippers to work because my poor poor feet are swollen and nothing else fits me! It’s something I’ve had for as long as i can remember, due to my genes. And thanks to the bunions, I couldn’t just pick pretty shoes, my shoes always had to be wide and comfortable! Now if I could choose, I really like these ones from Zara (again) for this kind of weather. I just love the heels on them! And my boyfriend promised to buy me any shoes I want, as a gift for the pain I went through after the surgery. 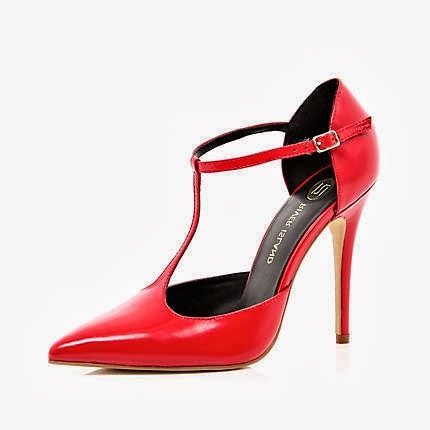 I’ve always wanted red heels! I like the style of these ones from River Island. What cheers you up if you are sad? If you won a holiday for two, who would you take with you and why? I would take my lovely boyfriend…and why? Because he is my other half, I know…cheesy but true. Just ONE???? There are so many of them! Well, Ok, I’ve started blogging so I can meet more people with the same interests. I think it’s still the main reason why I want to keep blogging. I’m from the Czech Republic originally, all my friends are there as well so I’m trying to find some great people over here and meet more people form other countries as well! The questions I would like to know! Do you usually follow the latest trends that are out there? If you win £1000, where would go spend it and why? List 3 favourite websites you love online shopping at. What beauty product can’t you imagine living without! 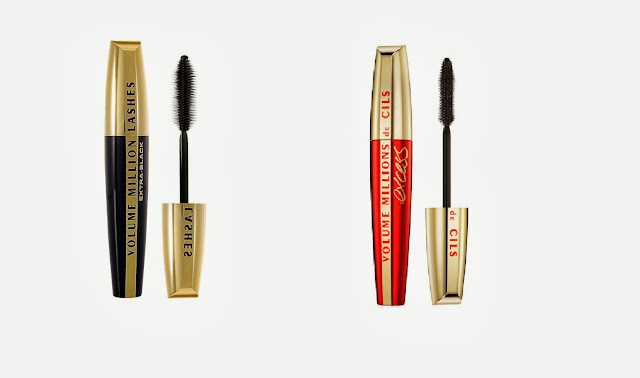 What is your favourite makeup for autumn? Share pictures if you can, please! If you could do something dangerous and you knew nothing would happen to you, what crazy thing would you do? How do you look after your hair? What special products or natural things do you use? If you could be a famous person for a day, who would you be and what would you do! Have you got a blogging schedule? What’s the ambition for your blog? Please let me know the URLs of your posts (answers)! 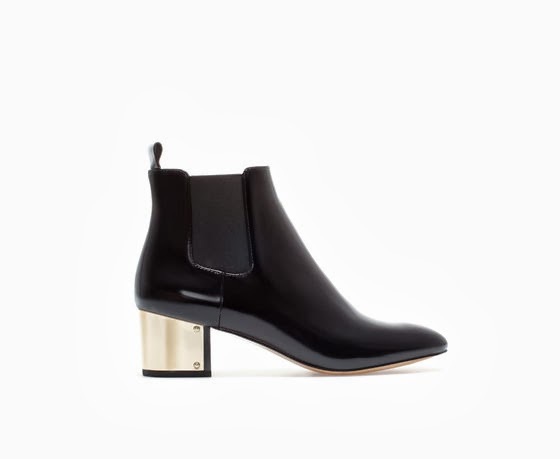 The fourth top in your Zara picks is gorgeous and so are the Zara boots! Ps those soaps are amazing, I want one! I love natural soaps like that, they are so much better.